Have you ever wondered if there were small changes you could make in your stroke to improve performance? Or how finger, thumb or elbow position help change propulsion and drag in swimming? 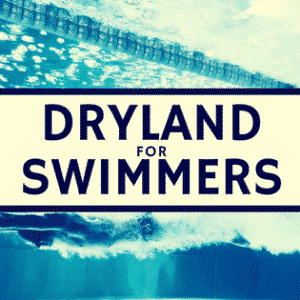 If you have, then a recent research article titled, “Effective Propulsion in Swimming: Grasping the Hydrodynamics of Hand and Arm Movements,” will answer many of your burning questions and more! 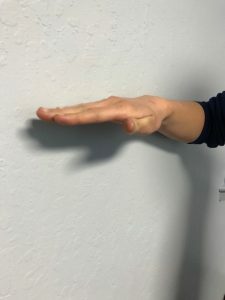 This study sought to determine the effects of hand orientation, thumb position, finger spread, S pull versus straight arm pull and hand acceleration on lift and drag in swimming. Read more about this informative study below! 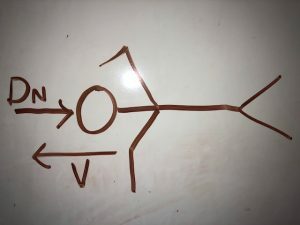 Before we dive into the specifics of this research study, it is important to ensure that we understand a few fundamentals of force, drag and lift in swimming. These are complicated concepts. The goal of the below explanation is not to address all of the factors and forces acting on swimmers in the water, but rather to explain a few key concepts to better understand the results of this research study. Most of the time, we think of drag in a negative way. As swimmers, we do everything that we can to decreased drag: shaving, wearing tech suits, changing head/body position etc. But did you know that drag force is also a good thing? In fact, it is absolutely necessary in order to move forward in the water. How is that so? 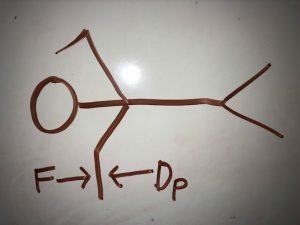 Below is a (very simplified) diagram of the negative form of drag. This is the type of drag that we generally think of as slowing us down. It acts opposite the direction of motion. The other form of drag force is essential for forward propulsion. When pulling, we need something to push against; drag force allows the water to act like a wall to push against and move us forward. If we did not have this positive form of drag, our hand would simply “slip” through the water not creating forward movement. When the hand is perpendicular to the direction of motion, the positive form of drag is the greatest. 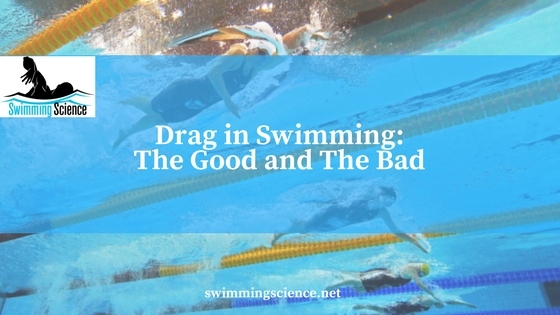 Therefore, this positive drag force is predominant in the pull phase of the stroke. This component acts perpendicular to the direction of motion. 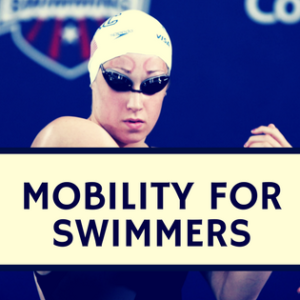 Achieving the appropriate amount of lift allows swimmers to better maintain an optimal body position. This study will talk about lift predominately in the entry and finish of the stroke. Determined by pitch angle, sweep angle, and angle of attack. This is the angle between the horizontal flow vector and the hand plane. See the pictures below for more information. Generally, pitch angles between 0-40 degrees will produce the most lift. It is also important to remember that drag increases with increasing pitch angle. 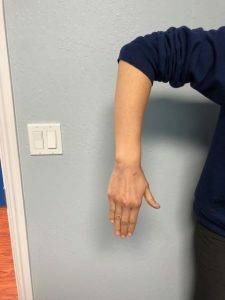 At increasing angles, you can imagine that the water slipping below the hand will no longer create an upward lift force and significantly increase negative drag in swimming. 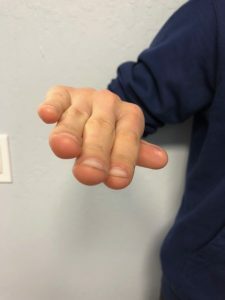 The angle at which your hand enters: thumb first versus pinky first. 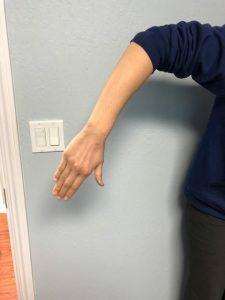 This study analyzed how different arm/hand movements and positions during swimming impact swimming speed. Information was analyzed from over 30 different scientific research studies to determine common trends. 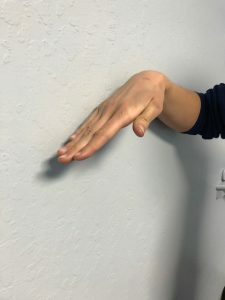 The researchers looked at the effects of hand orientation, size, shape, and velocity under steady state (constant velocity) conditions and with acceleration. The study found that the following generally improve swimming performance. Spreading the fingers slightly during the catch. This allows a slight increase in the effective surface area of the hand. 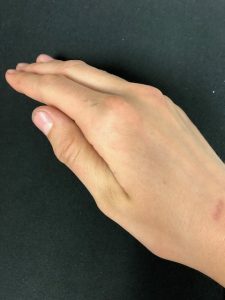 If the fingers are spread too wide, water will “slip” through the fingers. Accelerating the hands throughout the stroke pull, rather than pulling at a constant speed. Changing thumb position during different phases of the stroke. ABducting the thumb (see pictures) during entry, catch, and upsweep. When the thumb is aBducted, it provides more lift. In the entry, catch and upsweep, the lift force helps to maintain better body position. 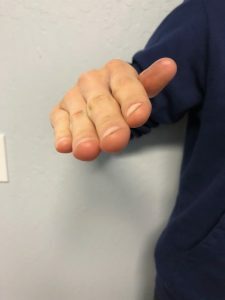 ADducting the thumb during the pull phase. During the pull phase, drag contributes more to forward propulsion. Positive drag force will be increased with the thumb aDducted. 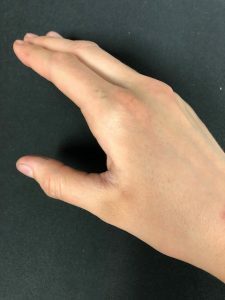 Changing thumb position based on hand entry position. For slightly smaller angles of attack, fully abducted thumb provides the most lift. For larger angles of attack, a partially abducted thumb provides the most lift. Fully adducted thumb provides the most lift. A slight elbow bend is favorable during the pull phase. At all hand pitch angles, the greatest drag coefficient was found at 165 degrees of elbow flexion (versus 180 or 135). The changing of directions can impair drag force. An “S” pull will likely be slower than a straight pull pattern. This study summarizes the effect of slightly altering hand and arm positions on two of the most important forces: lift and drag in swimming. While the results of this study are interesting, it is also important to not look at these results independently. 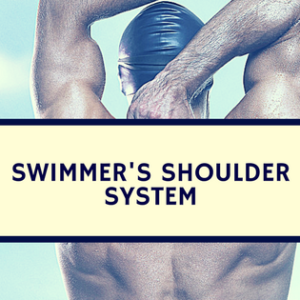 As we know, there are so many other variables at play in swimming. 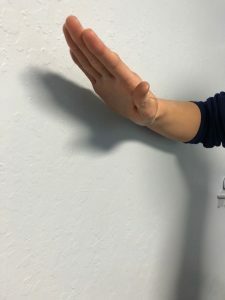 Even if abducting the thumb slightly during the entry provides more lift, if the position of the torso and legs are out of line, the effect of altering hand position will be minimal.